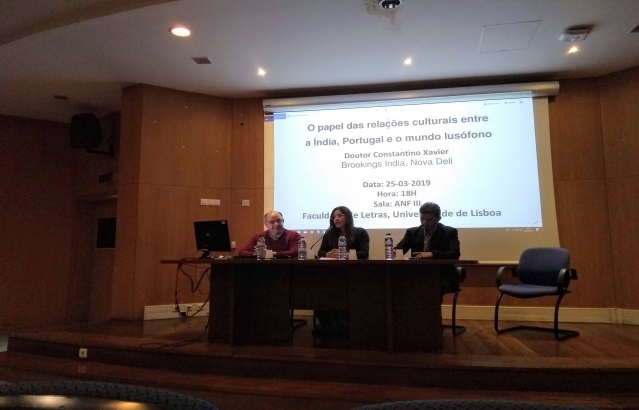 On March 25, Dr. Constantino Xavier delivered a talk on “Role of Cultural Relations between India, Portugal, and the Portuguese-speaking World” at Faculdade de Letras da Universidade de Lisboa (FLUL). 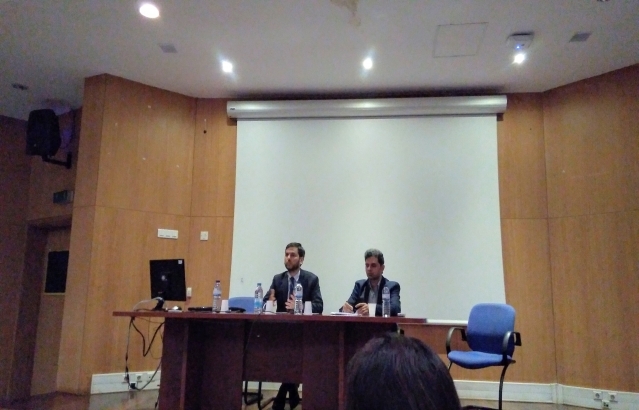 The event was organized by the Embassy in association with India-Portugal Friendship Association (AAPI) and Center for Indian Studies (CIS), FLUL. Dr. Constantino Xavier is a Fellow in Foreign Policy Studies at Brookings India in New Delhi and the Brookings Institution in Washington DC. He researches on India’s foreign and security policies as a regional power, with a focus on institutions and decision-making processes, and also on relations with Europe. In 2004 and 2006, Govt. of India awarded Dr. Constantino scholarships to pursue MA Politics and M. Phil International Politics at the Jawaharlal National University. In January 2019, he was awarded by the Indian Council For Cultural Relations (ICCR) the prestigious "Distinguished Alumni Award".